In case you missed it, Joe Carter, FRC’s Director of Web Communications (and managing editor of this blog), was profiled over the weekend in the Washington Post in an article entitled “Evangelical Bioethics and the Web” by WP religion reporter Michelle Boorstein. It’s a good look not only at Joe, but also on how the internet can be a forum for the some of the most important bioethical issues facing us today. How many people will believe that the tear is real, rather than a fabricated image? Is this a dishonest use of the image by Time? More importantly, shouldn’t the magazine acknowledge that it ripped off the idea from Iron Eyes Cody, the “crying Indian” from those 70’s era PSAs on pollution? $74 million for peanut storage costs. $25 million for spinach growers. $25 million for livestock (2005 Hurricane Livestock Indemnity program). $283 million for the Milk Income Loss Contract program. $120 million to compensate for the effects of Hurricane Katrina on the shrimp and menhaden fishing industries. $60.4 million for salmon fishery “disaster” in the Klamath River region in California and Oregon. $48 million for salaries and expenses for Farm Service Agency. An additional $500 million for emergency wildfires suppression even though the Forest Service already has $831 million available for this purpose. $400 million for rural schools. Minimum wage increase, which is already moving on a separate track. $50 million for asbestos mitigation U.S. Capitol Plant. $16 million for security upgrades to House of Representative Office buildings. $6.4 million for House of Representatives Salaries and Expenses Account for business continuity and disaster recovery expenses. $35 million for NASA risk mitigation projects in Gulf Coast. $20 million for Emergency Conservation Program for farmland damaged by freezing temperatures. $5 million for losses suffered by aquaculture businesses including breeding, rearing, or transporting live fish as a result of viral hemorrhagic septicemia. $4 million for Office of Womens Health of FDA. $10 million for the International Boundary and Water Commission, US/Mexico for the Rio Grande Flood Control System Rehabilitation project. As we face powerful attacks on our values, there is no better time to stand with FRC Action and our friends at Focus on the Family Action, American Values, and the Alliance Defense Fund for a fall event guaranteed to change the public debate. Registration is now open for the second annual Washington Briefing 2007: Values Voter Summit from October 19-21 at the Hilton Washington in downtown D.C. Last year’s event attracted 1,800 attendees from 47 states and nationwide coverage from more than 200 major media outlets. Join us for special sessions featuring the 2008 presidential hopefuls, a who’s who of the pro-family movement, a presidential straw poll, book signings, a gala dinner, and much more! 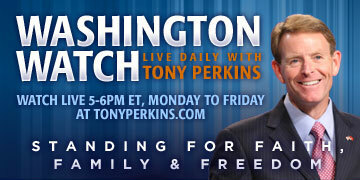 For more information or to register, log on to www.frcactionwashingtonbriefing.org or call 888-372-2284. Book your reservations by May 15 and receive a $25 Early Bird discount! Despite protests from some members of Congress, Speaker Nancy Pelosi (D-Calif.) allowed the radical Council on American-Islamic Relations (CAIR), an organization with reported ties to terror groups and funding from Arab regimes, to hold a discussion on Islam in America’s greatest symbol of freedom and democracy - the U.S. Capitol. Pelosi allowed CAIR access to the Capitol despite its animosity toward the very government in which she serves. The group has refused to renounce Muslim extremism or condemn fundamentalist terror groups like Hezbollah and Hamas. Tuesday, its leaders even offered their support to a lawsuit filed on behalf of six imams who were escorted off a U.S. Airways flight after making anti-American statements, disrupting passengers with shouts to Allah, requesting unneeded seatbelt extenders, and arousing suspicion by moving from their assigned seats to a pattern associated with the 9-11 attacks. At a public press conference to announce the suit, CAIR forced Washington Times and CBN reporters off the premises saying they were “not welcome.” Perhaps CAIR’s leadership is concerned that these journalists understand the danger behind their radical agenda. Many Americans do not know that military personnel have a separate set of laws that govern their conduct; it is called the Uniform Code of Military Justice (UCMJ). Under the UCMJ homosexual behavior, like adultery, is criminal. It is immoral. The outrage should not be focused at Gen. Pace for defending the law, it should be directed at Rep. Meehan and others who in the midst of a war want to make political correctness a priority and try and turn the military into a laboratory for their liberal social ideas. As Chairman of the Joint Chiefs of Staff, Gen. Pace should not have to apologize for defending the law; rather, he should be applauded for upholding it. We urge his colleagues and the administration to resist the urge to retreat and instead follow his brave leadership. 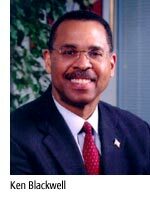 We are pleased to announce that Ken Blackwell, former undersecretary at the U.S. Department of Housing and Urban Development, U.S. Ambassador to the U.N. Human Rights Commission and mayor of Cincinnati, will join FRC as Senior Fellow for Family Empowerment. In this new role, Blackwell will lead our efforts in addressing education, tax reform, and family economics. As one of the nation’s leading conservative voices, Mr. Blackwell has a distinguished record of service in Ohio as both treasurer of state and secretary of state. 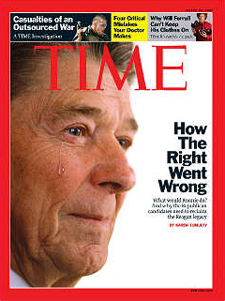 The Wall Street Journal has compared his policies and principles to those of Ronald Reagan. In the battle for family, faith, and freedom, we can think of no better teammate than Ken Blackwell whose unwavering commitment to conservative policies has advanced both family enterprise and family strength.